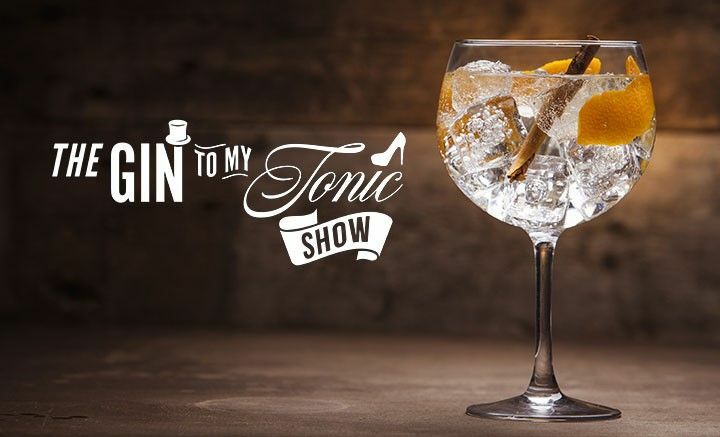 Billed as the largest gathering and celebration of gin brands Liverpool has ever seen, The Gin To My Tonic Show at Exhibition Centre Liverpool is less than two weeks away! Taking place on Fri 7th, Sat 8thand Sun 9th September, here’s all you need to know ahead of this incredible live event. Unlimited gin tastings– have fun throughout your visit as you work the room…there’s so much to experience! Sensory world tour– with over 60 drinks brands in attendance, including gins from France, Holland, UK, Germany, Sri-Lanka, Australia, New Zealand and USA, your taste-buds will be truly tantalised! Mixology Brothers– get hands-on by making your own cocktail creations with our leading mixologists, or simply relax and watch the action from our cocktail bar! Tonic tutorials– experiment with a wide range of tonic flavours, from the traditional to the more innovative…including Pomegranate and Basil, Pink Pepper, Salty Lemon, and Blood Orange & Cinnamon! Get fruity– if fruit gins are your thing, try new flavours such as Rhubarb, Strawberry & Basil, Raspberry & Blackberry, Spit-roasted Pineapple…or even Black Tomato! Craft Gin Club– meet the UK’s No.1 gin club as they make their first live event appearance and bring their monthly Craft Gin Club subscription box to life. Exclusive presentations– everything you need to know about the world of gin from some of the industry’s leading distillers! Wonders of nature – see magic happen before your eyes with our colour-changing gins! Local producers –celebrate some of the region’s local craft gin-making talent, including Turncoat, The Ginsmiths of Liverpool and Three Graces Rose Gin! Gin garnishes– learn how to get creative and enjoy unique gin garnishes such as Brighton stick-of-rock and Japanese sansho berries! Learn from the best –meet all the teams behind the brands and discover what makes their creations truly unique! Social media– engage with the duo behind one of the UK’s leading social media channels, The Gin To My Tonic, as they invite you into their world of botanical masterclasses and social media workshops! Other ranges – if gin’s not your tipple, enjoy a range of alcoholic delights from vodkas to craft beers! Tasty takeaways –purchase your favourite gins, tonics, garnishes and souvenirs to take home and savour! The Gin To My Tonic Show is the ultimate interactive gin experience – an exciting journey of gin discovery from start to finish. With something for gin lovers old and new this is a truly unique event not to be missed!